Forget gritty action-centric reboots or horror-themed takes on the classic fairy tale as Disney are taking things back to their roots. 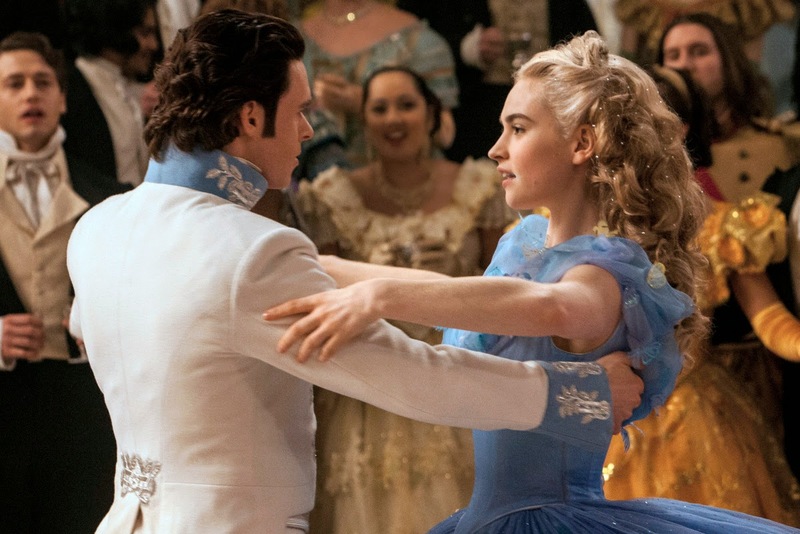 The studio's live-action adaptation of Cinderella is a delightfully old-fashioned tale bursting with heart, charm and whimsy. Sir Kenneth Branagh directs this tale which sees young Ella (Lily James) stuck living with her cruel stepmother, Lady Tremaine (Cate Blanchett), after the death of her kind father. However, after meeting a handsome stranger in the forest (Richard Madden) her luck begins to change. Impressively straight-forward, Branagh's Cinderella makes no drastic changes from the animated film's trajectory and is presented with a refreshing simplicity. Whilst events remain generally similar, Branagh packs Cinderella with an honest heartfelt emotion, thanks to screenwriter Chris Weitz's rich and engaging characters. The deaths of Ella's parents are handled with a tender emotion, with the young girl's grief deeply affecting and likely to tug at the heartstrings. The abuse faced by Ella from her cruel stepmother and stepsisters is equally harrowing - perhaps because Lily James's protagonist is so adorably sweet that this occasionally feels like watching a kitten being tormented. Whilst Cinderella is admirably faithful to Disney's source animation, it occasionally feels too stilted and over-serious. This is a version that doesn't fully utilise the fantastical fun found within its outlandish narrative. Instead, Branagh and Weitz pluck for sweetness and heart over humour and buoyant fantasy - thankfully Helena Bonham-Carter's underused turn as Cinderella's Fairy Godmother provides the latter qualities. This is best encapsulated in the film's transformation scene which sees pumpkins transform into carriages, a goose into a driver, and lizards into footmen - all presented in immaculate and sweeping CGI. Another key strength of Cinderella lies in its perfect casting. James brings a wide-eyed, heartfelt sweetness to the titular role, turning Disney's iconic princess into a loveable, thinking and feeling character. Blanchett crackles with iciness as Lady Tremaine, who is every bit as unspeakably wicked as we could hope. Richard Madden's Prince proves effortlessly charming and a welcome screen-presence - whilst praise should also go to his impressive bulge on display throughout proceedings. A varied supporting cast featuring Sir Derek Jacobi, Stellan Skarsgard and Hayley Atwell ensures that Branagh's Cinderella is continually brimming with vibrant energy. Cinderella is a lavish and well-crafted take on the iconic fairytale. Brimming with heartfelt emotion, visual spectacle, and charming performances, Cinderella is a treat from start to finish.